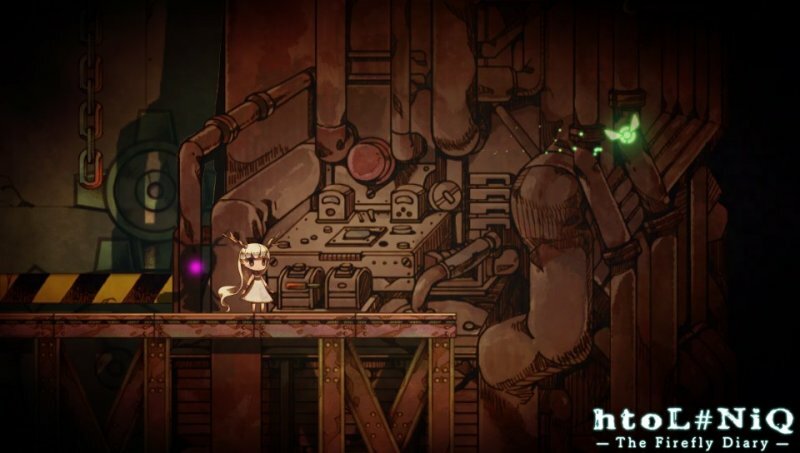 With a title like htoL#NiQ: The Firefly Diary, it’s like the game is warning you that you’re not in for a traditional experience and it sure delivers on that point. NIS is most famous for their anime style RPG titles, so it’s nice to see them take on the puzzle genre with a brand new intellectual property. The anime style is still present here and shines on the Vita’s screen, as this is NIS doing what they do best. The game starts off and drops you off with little introduction besides the names of the characters. There’s not much text after that, which is nice that the game doesn’t heavily rely on bombarding you with text. It’s a minimalistic game, controlled (by default) using just your fingers on the front touchscreen and rear touchpad. By default, this works pretty well and is a good use of the Vita’s normally under-utilized features, but over time due to the mechanics it becomes frustrating. 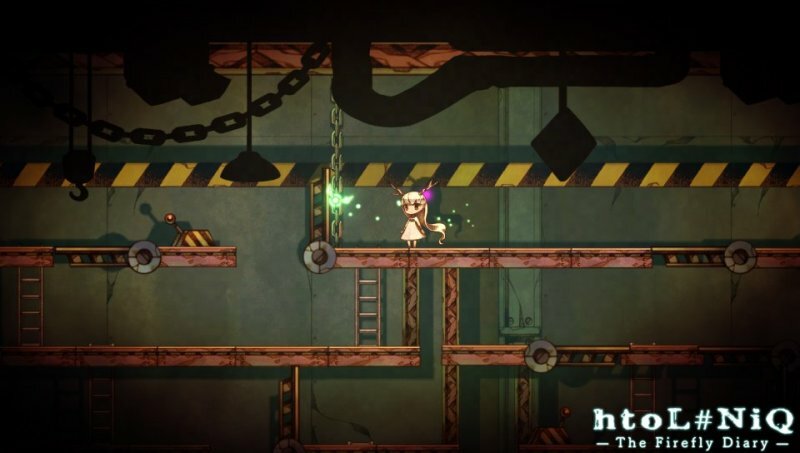 The main goal is to use the touchscreen to control a glowing green firefly, named Lumen which in turn is used as a cursor to guide the character, Mion who is a little anime girl with antlers lost in a dreamlike labyrinth. There’s also usage of the rear touchpad to control Umbra, a purple firefly, who travels along the shadows to usually help clear a path or activate a switch. A lack of direct control proves to be the most frustrating part of the game, as Mion will walk in whatever direction Lumen is in and keep walking until you tap her character to make her stop. In theory it works very well, and it works well in the beginning of the game, but as things progress and proper timing becomes essential, waiting for a slowly-walking character to move becomes almost a chore. 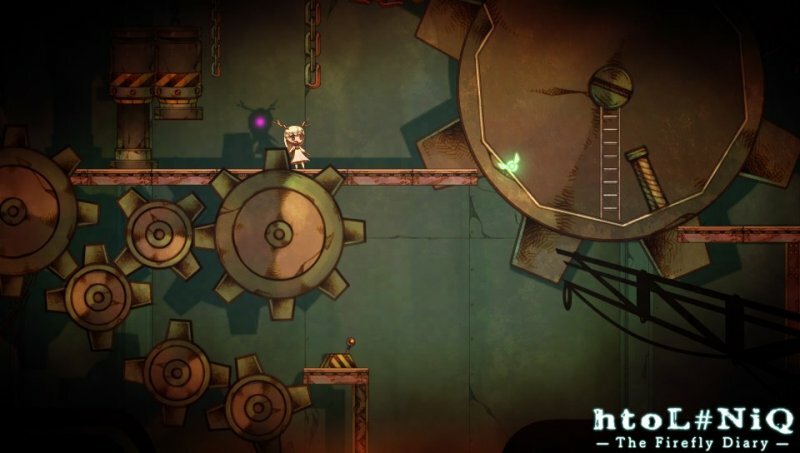 Trial-and-error becomes the name of the game here and you will die, often, and have to redo certain areas very often. There are three different control settings, the first (A) uses the touchscreen to control Lumen and the rear touchpad to control Umbra, both work pretty well and this one is preferred because it allows for the fastest switching between the two fireflies. The second control setting (B) just uses the front touchscreen and you must hit an icon in the upper right of the screen to switch between the two fireflies. 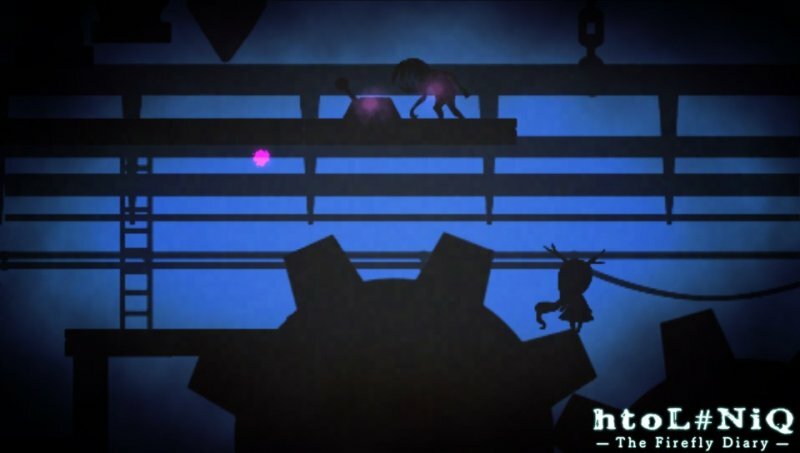 The third control setting (C) uses the joystick to control the fireflies and buttons to switch between them. Now, when I was playing, I thought using the analog stick would allow for more precise control, but I found that to be the exact opposite since it’s basically using the analog stick as a cursor and it feels sluggish when playing. The poor controls stems from the fact that you don’t control Mion directly, you control the firefly, Lumen, who guides Mion. Using the touchscreen is quicker and thus I found the default setting controls to be the best. 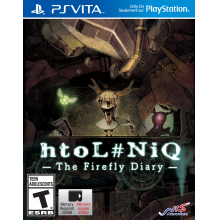 At its heart, htoL#NiQ: The Firefly Diary is a simple puzzle game, requiring use of no buttons, only the front and rear touch pad. The game is a bit reminiscent of Escape Plan in that it usually involves switching between characters to clear a path. Controlling only via swiping works well enough most times, but other times I found it frustrating when Mion would continue walking to fall onto some spikes, requiring sometimes frantic micromanagement and lots of retries. This lack of direct control creates a slight delay from where you want Mion to move and requiring lots of pre-planning and perfect timing. Your goal is to guide Mion to the end of the level by sliding your finger across the screen to create a path for her to follow, which is why the analog stick as a cursor feels so unintuitive. Even things like simply climbing down a ladder can be annoying if she doesn’t come all the way to the bottom, then she’ll want to climb up again. All the while, Mion moves at a snail’s pace with no option to speed her up or slow her down besides stopping. The limited controls prove to be frustrating time and time again, mainly resulting in waiting for Mion to take her sweet time to move across the map. One objective I had required me to cross over a pit of spikes. There were crates above me I could use, but they were out of reach. I used the rear touchpad and went into the shadow world to knock down the platform which gave me the crates I needed to create a bridge over the spikes in the normal world. Things like this are rewarding and definitely the best aspect about the game. Due to the challenge of the game and the requirement of precision timing, when you accomplish your goal, it feels like you earned it. Most of the puzzles aren’t too difficult, merely requiring searching the right area or timing things just right. However, there’s one part at the end of chapter 2 that is especially frustrating. This part requires you to navigate Lumen through a maze where you can’t touch the walls in some sort of sick Operation-esque homage. This part was basically impossible with the default controls because your finger obscures your view of Lumen and there’s a lot of precision required. I had to switch to using the analog stick and even then it was frustrating due to the imprecise and jerky movements when using the tiny little joystick, as small taps became exaggerated movements that caused me to hit the walls and lose. Even with a fairly generous checkpoint system, the imprecise controls caused me to die a couple dozen times, so much so that the game gave me a trophy for it which did little to ease my frustrations. Visually the game sports a sharp animated style; it’s got a very crisp and clean image to it. Animation-wise things are pretty basic overall, nothing too in-depth like you’d find in a fighting game, with just a few different animations for Mion. The visual style works well and helps purvey a creepy, dreamlike atmosphere that perfectly fits the game’s odd storytelling. 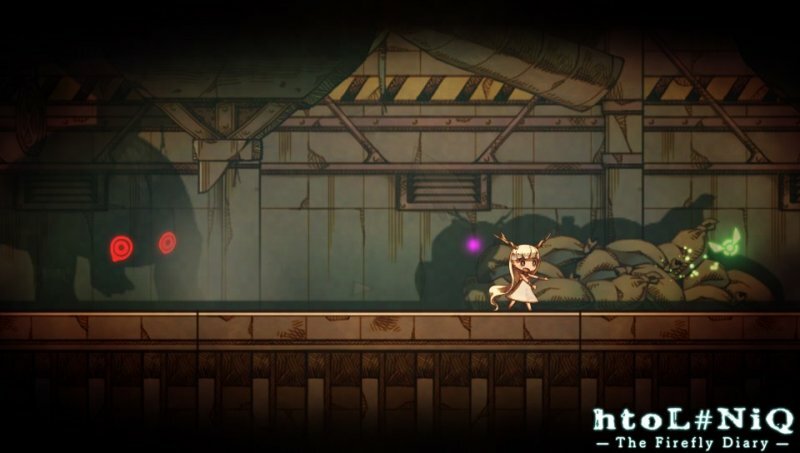 The bosses in the game are especially well-designed and definitely invoke a sense of dread upon the player as helpless, slow-walking Mion is chased. There are also some violent deaths for Mion, which is something that you’ll see often due to the trial-and-error nature of the gameplay. Nothing too gory here, just a couple frames of animation and some red splatter at worst. The audio is a minimal ambient style and well-done, further contributing to the dreamlike aesthetic the game sports. The audio feels like background music and it’s definitely not an overt orchestra, but the minimal nature of it helps instill an unsettling mood. Worlds are constructed well with a kind of gritty audiovisual design to them, making Mion feel all the more vulnerable in a world filled with brutal traps. Overall, this game is a pretty good puzzle game that’s held back by a few design choices. Frustration and repetition turn out to be the biggest faults with the game, which turn out to be reasons for this short game feeling much longer than it really is. The sluggish, slow-moving protagonist means a lot of times you are just waiting. 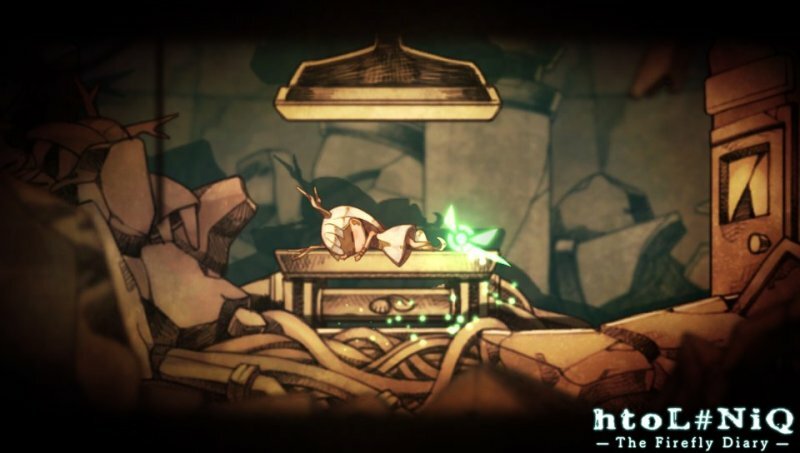 For many of the puzzles however, cheap deaths prove frustrating and there is a lot of trial-and-error gameplay that gets more annoying each time you have to attempt it. Not being able to control the character and instead just moving a firefly like a cursor is something that leads to a lot of cumbersome moments. I wonder if direct character control made the game too easy, but leading the character to follow a cursor when precision timing is so pivotal can become too much at times. Often I would die repeatedly and just give up and quit out of frustration and upon returning to the game, I’d be able to do better and progress further, it’s definitely a game that requires patience. There are many rewarding moments after accomplishing a puzzle perfectly, but these moments are sandwiched in between a majority of frustrating and trial-and-error situations that change the game from fun to tiresome. THE FIREFLY DIARY COMING TO NORTH AMERICA AND EUROPE THIS FALL! CRIMINAL GIRLS: INVITE ONLY TO HIT NORTH AMERICA AND EUROPE IN 2015! DANGANRONPA 2: GOODBYE DESPAIR COMING TO NORTH AMERICA AND EUROPE THIS SEPTEMBER! DANGANRONPA 2: GOODBYE DESPAIR COMING TO NORTH AMERICA AND EUROPE THIS FALL! DISGAEA 4: A PROMISE REVISITED IS HEADING TO PLAYSTATION VITA THIS SUMMER!